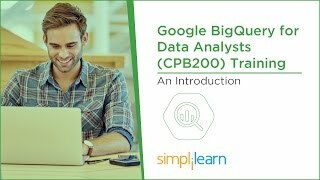 Google BigQuery for Data Analysts - CPB200 will introduce you to Google BigQuery. Through instructor-led online classrooms, demonstrations, and hands-on labs, you’ll learn to store, transform, analyze, and visualize data using Google BigQuery. This course is most suitable for data analysts and data scientists. How do you become a Google Cloud Certified Professional - Data Engineer? The CPB200 course is the final step before you can sit for the Google Cloud Certified Professional - Data Engineer certification. Please refer to the following page for more details https://cloud.google.com/certification/data-engineer? To attend this course, you need to fulfil the pre-requisites given below.